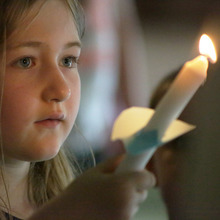 CancerCare’s annual Healing Hearts Family Bereavement Camp is a free retreat for families with children or teens who are coping with the loss of a loved one to cancer. 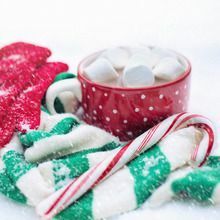 CancerCare’s winter warmth pilot program provided hats, scarves, gloves and other winter essentials to children and teens affected by cancer. 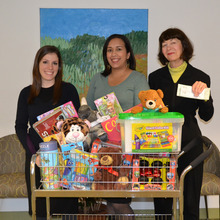 The Phi Beta Kappa (PBK) Association of New York donated funds and holiday gifts to CancerCare for Kids. 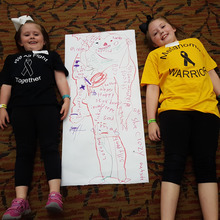 CancerCare attended the third annual Pediatric Melanoma Summit to provide supportive workshops to pediatric melanoma patients, their siblings and their parents. 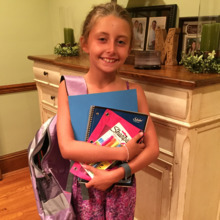 CancerCare recently launched a back-to-school pilot program to provie children and teens affected by cancer with backpacks and school supplies. 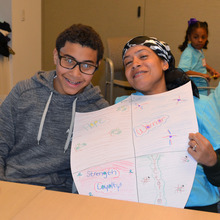 CancerCare recently hosted its eighth annual Healing Hearts Family Bereavement Camp, a free retreat for families with children coping with the loss of a loved one to cancer. 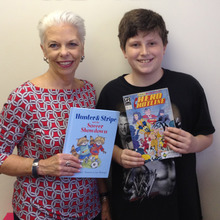 Andy Cook is a young man who has, in a short time, touched many lives through his creativity and love of comic books. On Tuesday, March 29th, CancerCare for Kids had the pleasure of partnering with Kids Kicking Cancer to offer a free martial arts class to children affected by cancer. 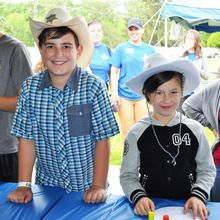 The event gave children the opportunity to connect with peers while increasing confidence and coping skills in a fun and relaxing atmosphere.